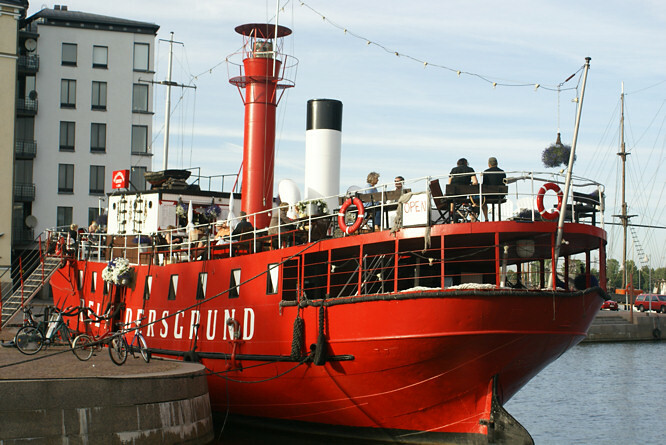 Going to Helsinki on a city break? Fly to Tallinn! For a weekend break you can visit both Tallinn (Capitol of Estonia) and Helsinki (capitol of Finland). My advice would be to fly into Tallinn airport rather than Helsinki as it is nearer the city centre and therefore quicker and cheaper to get into the city centre. Look around the attractive historic medieval walled city of Tallinn and then catch the ferry over to Helsinki. Finland is very expensive. Prices are over double those found in Tallinn. Hotels are also cheaper in Tallinn. This situation is strange seeing that only about 40 miles of sea separate them. Bothe Finland and Estonia uses the Euro. Every day and especially at the weekend, crowds of shoppers from Finland board the ferry boats for a day trip to Estonia to pick up some bargains. Because the booze is half price in Tallinn 50% of the passengers travelling back to Helsinki on the evening ferry boats are very merry. It is funny to see them struggling with creates of beer strapped to wheeled shopping trolleys, getting down the ships stairs and ramps. Compared with other Scandinavian capitals like Copenhagen, Oslo and Stockholm Helsinki is quite small and competitively short of tourist landmarks. Do not get me wrong Helsinki is a fun interesting place to visit but only worth a one or two day visit.. The city of Helsinki gives the impression of being relatively newly built compared worth the mediaeval appearance of the buildings of the near by walled city of Tallinn in Estonia. It is very clean. The main square and cathedral are the most recognisable part of the city followed by the harbours. I would recommend that all visitors go on a boat trip. 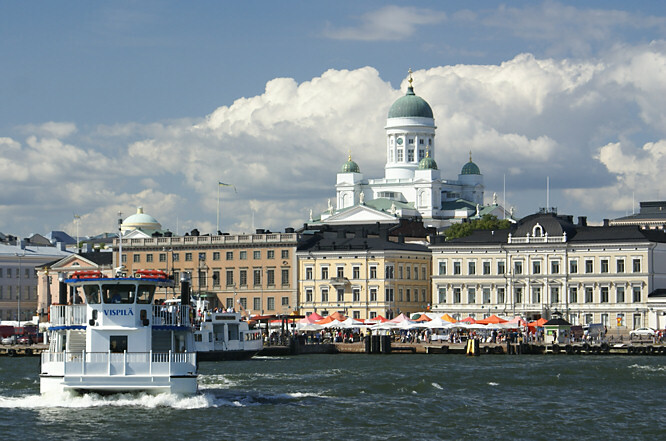 Helsinki is best viewed from the sea. I personally would choose the trip that goes to the island of Suomenlinna and explore the fortress. If you are a meat eater save up your pennies and have a meal at the Lappi Restaurant that serves Lapland style food. The food is great but very expensive. My favourite was sauteed Reindeer served on mashed potatoes with lingonberries. Elk ragout looked good as well. You might have a problem going to this restaurant with young children as they may get upset with you when they find out you intend to eat Father Christmas' reindeer. 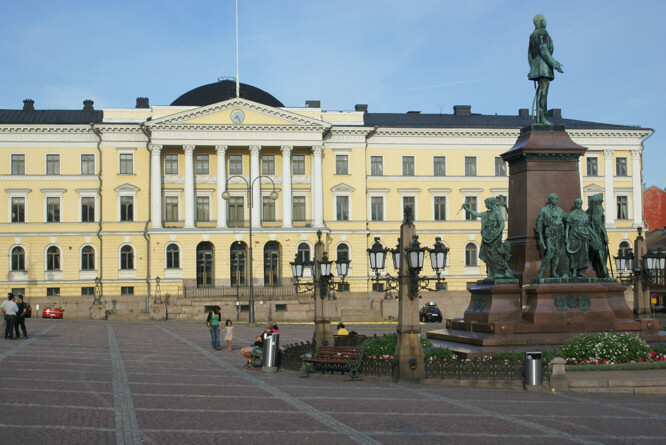 Helsinki's main airport is Helsinki-Vantaa, situated 19 kilometers (12 miles) north of the city. Several bus companies serve the airport, including the one owned by national airline Finnair and HST's local buses no 415, 451 and 615. They depart just outside the domestic and international terminal. The single fare is approximately 5 Euros on HST's local buses. They drop you in the city centre. If you have elderly people in your party or someone in your group has mobility problems, consider using one of the yellow van airport taxis. They are cheaper than normal taxicabs. They take you direct to your hotel rather than being dropped in the centre of the city. The more people in your group the cheaper it is. It cost our group of four 32 Euro. The same journey cost 45 Euro by normal taxi. These yellow van airport taxis can also be booked by your hotel desk staff to collect you from the front of your hotel to take you back to the airport. They may have to collect other people first so make sure you estimate a journey time of 60 minutes to be safe. Their website is www.airporttaxi.fi 0600555555.